 Enjoy karaoke on your phone. Sing karaoke with top artists & friends! Uow. You can really sing! Sing Karaoke is the best solution for karaoke and the app that helps you sing and record your favorite songs. There are over 1500 songs available in the database of this app the number is constantly rising. There are various additional options available here. 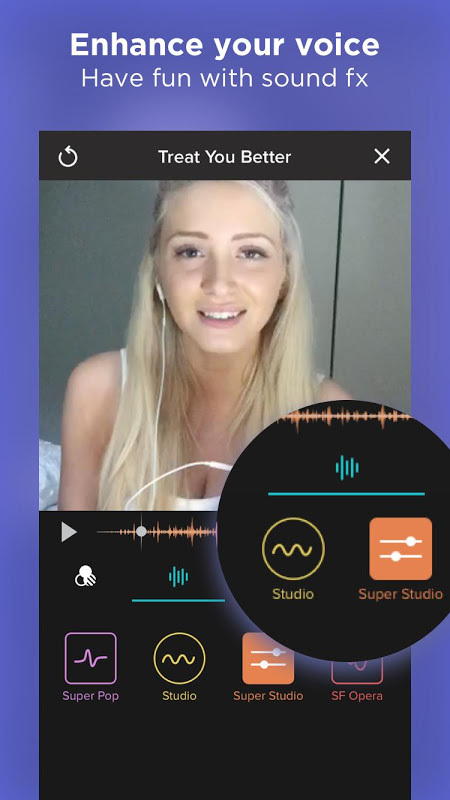 Not only can you sing karaoke and record yourself but you can do that with a video included as well. 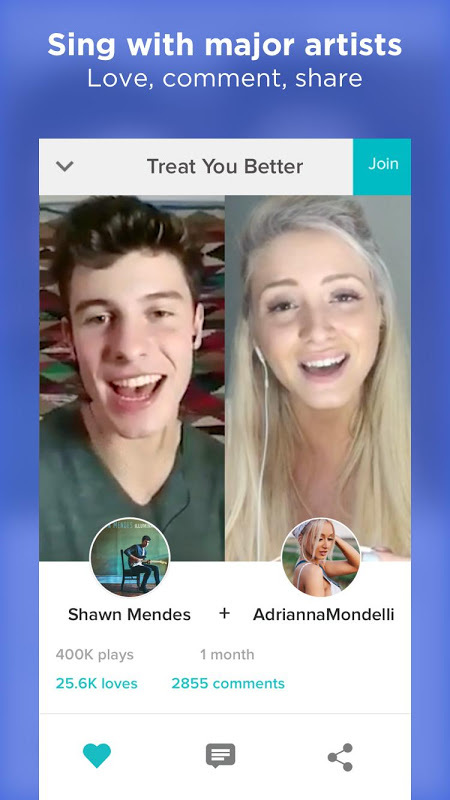 There’s even an option to sing a duet with the original performer of specific songs and you can team up with a friend of yours as well if you want. Simply select the song you want to sing and it will count you in and display the lyrics as the track goes along. One you have performed a song, you have the option of hearing yourself back afterwards. Sing Karaoke features professional voice enhancement - you sound like a real star, why aren't you on a band?! -, video recording, duets and group songs - the more the merrier - and a global listener platform where you can share, comment and inspire other users. 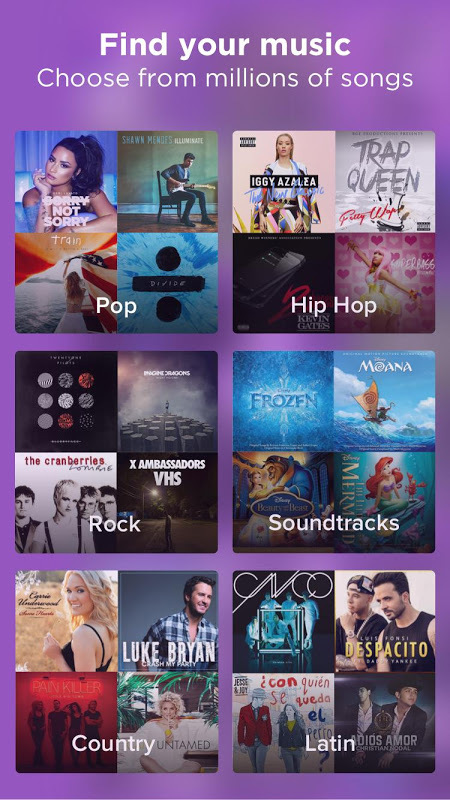 With over 120 million users singing 20.000 songs per hour, Sing Karaoke is the most popular karaoke app in the market.  Is Sing! Karaoke by Smule yours? Claim it!